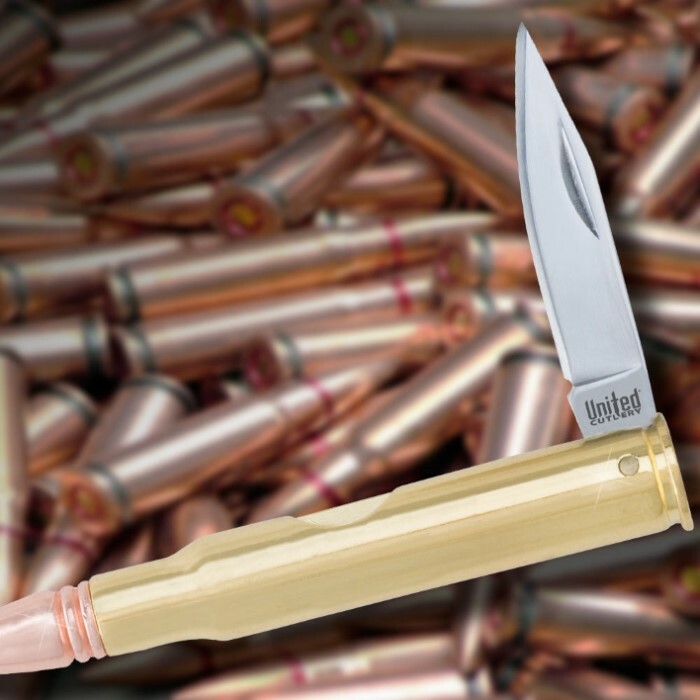 Bullet knives have been around for decades and continue to draw interest from knife collectors. This piece offers authentic size and brass plated cast metal construction. 1 3/4 in. blade, 3 3/16 in. closed. I bought one of these but mine was grey and copper not brass and copper like shown. the point is EXTREMELY sharp but the edge isn't that great, but it does get some looks as a novelty! believe me this 30 -06 bullet knife is great ,the uses for this knife is as good as i have seen in any knife. it is light but built strong ,no way around it it is a very good knife ,believe me all should own one of these knifes. use as a promotion and gift youngsters for there frist knife. response was greet. 6 star. Great, sharp, just as depicted. 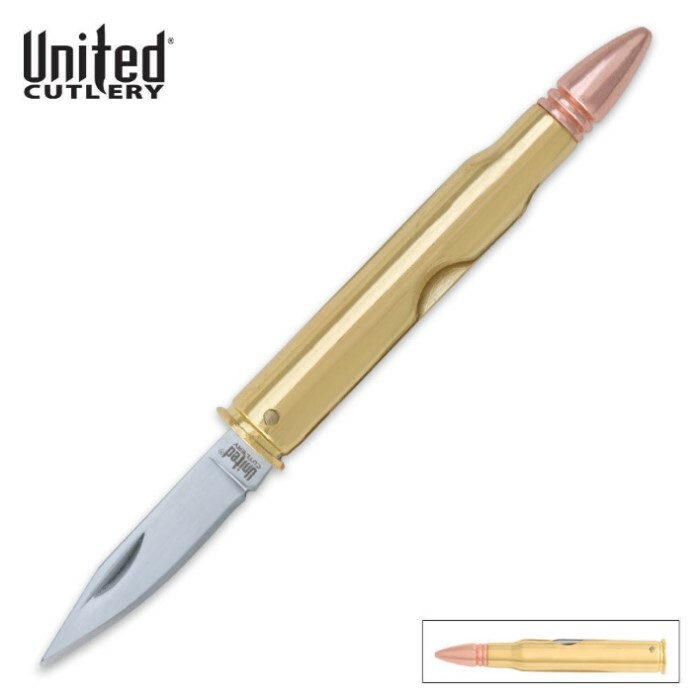 This knife and the 50 cal. are better knives and have a better chance at resale value.